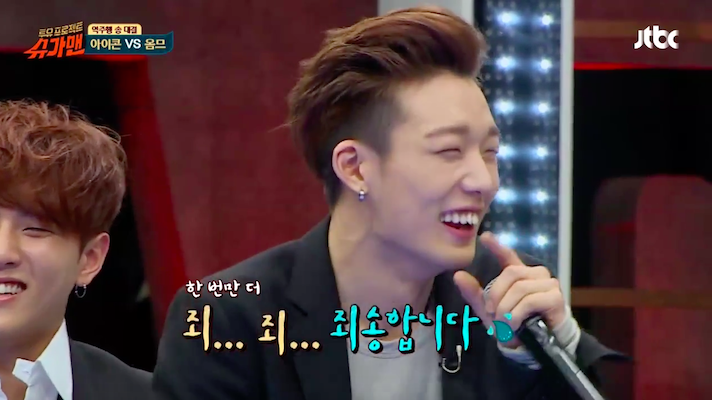 On January 19’s episode of “Sugar Man,” iKON’s Bobby can’t help but be thrown off by 2NE1 member Sandara Park’s rapping! 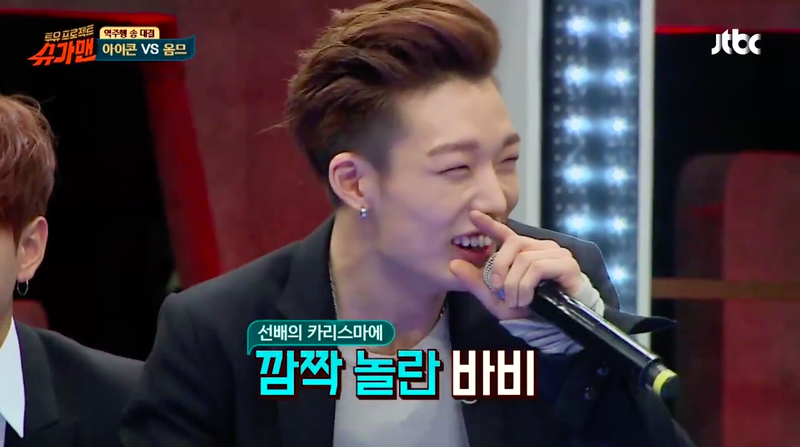 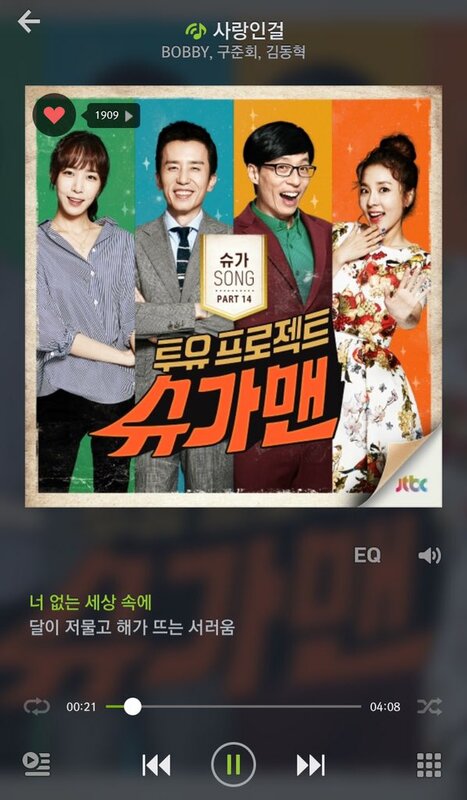 iKON’s Bobby, Donghyuk, and Junhoe appear on the show this week as part of Yoo Jae Suk’s team. 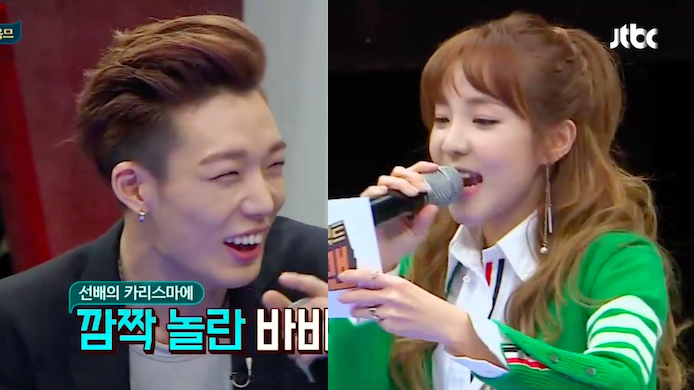 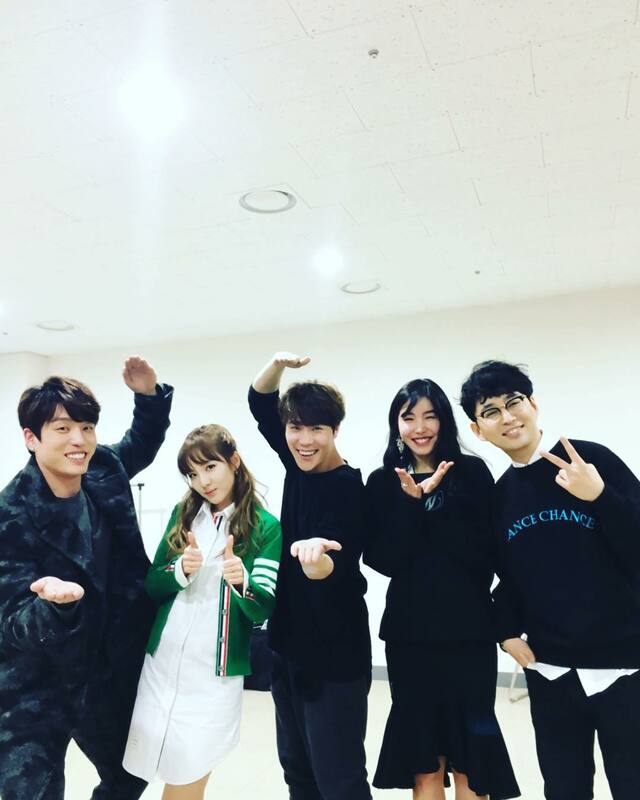 During the episode, Bobby and Sandara Park collaborate by performing a cover of iKON’s “Rhythm Ta” together. 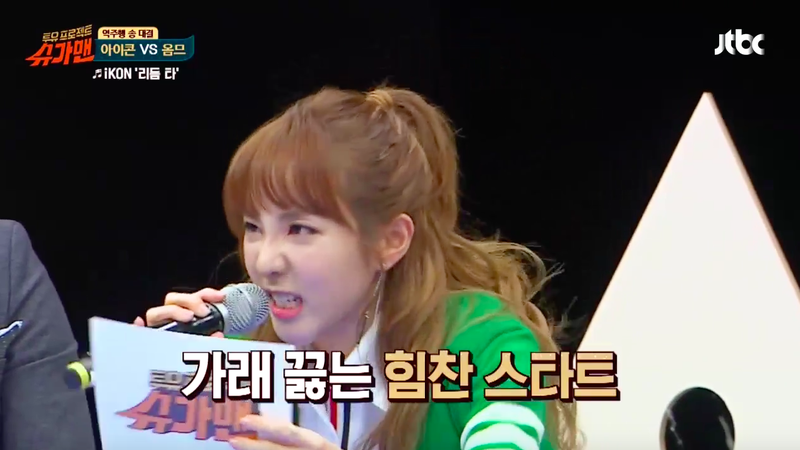 Sandara Park stands up and jokingly performs the first part with so much swag and overacting that Bobby is totally shocked, and can’t help but laugh.